NXT to Know: "Welcome to the 2018-19 Season"
Greetings to all new and returning NXT players and families! It was great to meet so many of you as we opened up the 2019 NXT Club Lacrosse season. A well-rounded club experience should be a bit of an adventure; otherwise, it would be boring. As with any new undertaking it is one’s expectations which play a large part in how the next 10 months unfold and so I thought, as Director of Coaching and Guidance, that I would share some views regarding expectations, re-hash the highlights of my talk with NXT parents, and remind folks how to reach me so I can be of assistance along the way. My parent talks varied a bit from youth to middle school to high school since the experience for each varies (and overlaps) a bit. For our youth players and families, I reminded folks of the importance of having fun, encouraging a sense of team, creating friendships, exploring other positions on the field, improving skills, and being supportive parents. These are wonderful, innocent, and productive years to learn the true values of sports and for improving one’s game in a free-spirited way. On the field, it is my hope that young men continue to learn the game, grow in talent, and experience having “little at stake” except enjoying themselves, improving their skills, and supporting their coaches and teammates. As for the middle school teams, they follow the same advice, except the window for such a varied youth experience is changing a bit as young men begin to narrow their positions of interest. They should be able to more clearly identify their strengths and weaknesses so as to dedicate more time in practice to work on clear areas of improvement like their offhand stick work, more accurate shooting, and their knowledge of the game. Their lacrosse IQ should be advancing as games become more competitive and the coaching a little more advanced. The pinnacle of the club journey is the college exposure offered for our high school teams. These young men and parents are now experiencing a more advanced level of competition and more responsibilities are placed on the young men to advance their opportunity for college lacrosse options. While performing well in a tournament or showcase event matters on the field so does the player's ability to advocate for himself regarding communication, respond to Teamsnap during the season for games and practices, design a personal resume with NXT’s help, create a basic and ever-changing college list, reflect on specific personal goals, and begin to create a highlight film as the years advance toward September of one’s Junior year. Upperclassman should also begin to consider college visits, prospect days, and standardize test strategies. (SAT, ACT, and test-optional school). Your NXT coaches, Coach Law, and I are here to help each step of the way but make no mistake that college coaches and admissions offices want to see self-motivated, prepared, self-advocating, young men who possess high character, are team players, and who are independent students-athletes on and off the field. Embrace the journey: No undertaking is complete without opportunities for success, failure, misunderstanding, and frustration. While unpleasant at times, these changes offer our young people the chance to feel proud, experience resilience, self-advocate, improve communication skills, and practice patience. Learn to have more than one skill set and play more than one position: Little is more limiting than saying “I am only a right-handed offensive midfielder.” There are lots of those players! Such a pigeonhole gives a player, his coach, and his team much less flexibility. Learning to play other positions, and to play creatively at a position, requires growth. Growth means taking chances, being uncomfortable, and working through the “uncomfortableness” until the goal is accomplished. 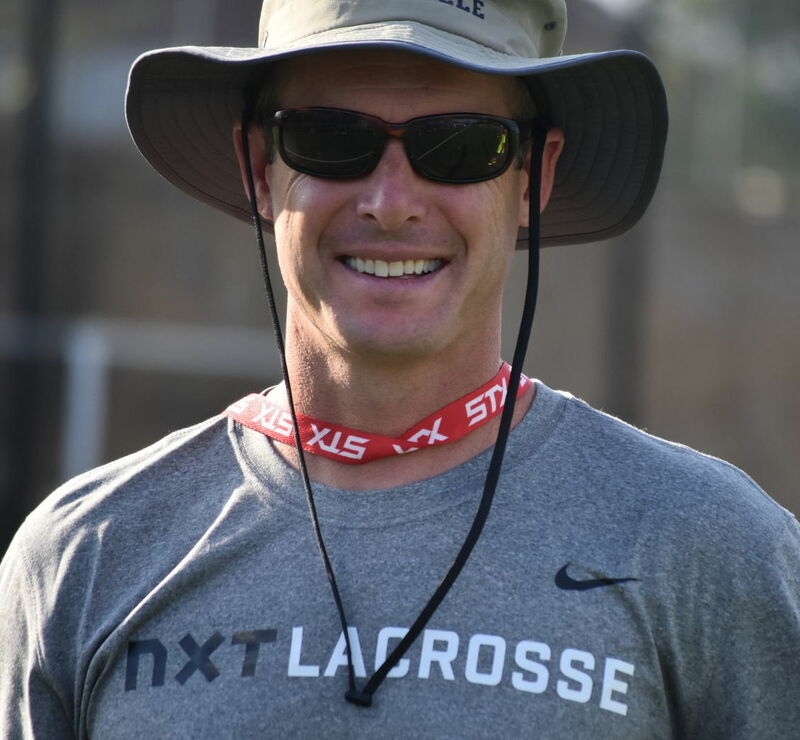 Exposure verse team: In high school and college being a part of a program will be all about something greater than “you.” Club, at the high school level, is one of the few lacrosse experiences which is more centered toward one’s exposure. This does not make it a solo sport like tennis or golf. One is still a part of a group and learning to serve others, and more importantly, the team. One of the greatest traits a student-athlete can develop is to think beyond themselves to serve one’s team, friends, family, company, or country.